You are probably well-versed in the different types of dental insurance out there, and how those levels affect your practice each day. If you remember, we even covered the importance of dental insurance in our “Leveraging Dental Insurance to Get More Patients” article last year. These different types of insurance work in different ways for dental practices, and dentists and their office managers must become insurance savvy in order to work each insurance scenario to their best advantage. Know the common policies, help patients understand how their plan works and problem solve how to help your patients appeal if they are denied coverage. Let’s consider fee-for-service as Tier 1 of the insurance level. According to the Consumer Guide to Dentistry, “Fee-for-service dentistry provides people with high quality, appropriate treatment for their needs in exchange for a fair fee considering the time, care, skill, judgment and materials required to render that treatment.” These dentists also accept most dental insurances. If you’re a patient, you can choose the dentist you want for your treatment in a fee-for-service, but just know the dentist will most likely expect payment of the quoted fee for services at the time of treatment. 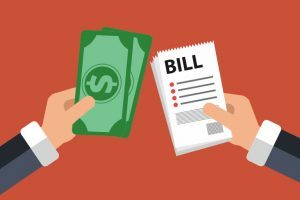 Dentists in the fee-for-service structure derive about 30 to 50% of their revenue stream from reimbursements by patients and insurance. As a dentist, you make yourself more attractive to patients when you’re fee-for-service; stay tuned for future posts to learn more about using that to your advantage. 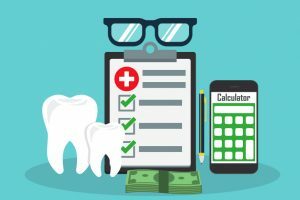 If you receive dental insurance through your employer, you might be familiar with the more commonly known acronym tied to patients’ fee-for-service with a preferred provider organization, PPO. 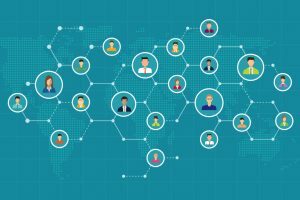 Dentists who are part of a PPO plan are “in-network” with anywhere from 2 to 10 PPOs, and accept certain fee schedules for restorative work. 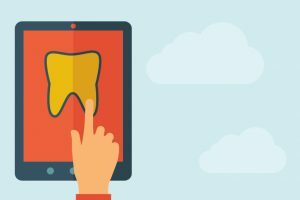 Patients can see dental providers who reduce the charges to their plan by being in-network; thus, paying less money out-of-pocket. Plus, you can put the paper aside – most PPO plans reduce or eliminate the need for filed claims! For dental practices who are a preferred provider organization, insurance accounts for 50 to 70% of their revenue. 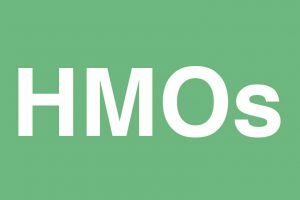 Known as HMOs (Health Maintenance Organization) policies, providers under this coverage are attractive to patients who want to pay less for their insurance in comparison to a plan with a PPO provider. On the flipside, these are typically the most restrictive, as they only allow patients to choose from a small group of dentists for their services. As a dentist, if you’re part of an HMO, you’re most likely seeing lots of patients. This plan is a discounted structure, and you’re essentially seen as a “gatekeeper for all dental services, meaning all dental procedures would require your approval to be eligible for coverage,” according to Authority Dental. Insurance accounts from as low as 70%, but in most cases, 80 to 90% of the dental revenue stream for practices in this structure. If you are a provider in Tiers 2 or 3 (PPO or HMO), the best way to inform potential patients of their insurance plans and couple that with good dental care is to start getting connected. It’s time to reach out and find local employers and see the benefits of providing proactive screenings to their employees. These kinds of proactive health screenings provides benefits to all three parties involved: employers, employees (patients) and you. Employers reap the rewards of increased employee satisfaction because employees see the value of their benefits with this kind of effort, it helps coworkers be healthier and as a result, saves the company money because the focus shifts from restorative to preventive care. By offering this service, it allows potential patients an opportunity to not only get to know you, but actually take the time to get a preventive screening. According to the Society for Human Resource Management, one of the commonly cited reasons employees don’t use their dental benefits is the hassle of taking time off work. By providing screenings at employer’s office, this would eliminate that issue! Finally, the benefit to you in offering these screenings is two-fold: it helps you to build a relationship with potential patients in that company and it could yield as many as 10 to 12 new patients from providing this service. Not sure where to start? Our teams here at TNT Dental are well equipped to help set this up with an employer, so give us a call to begin this process! We even have a PowerPoint presentation for you to present to an employer’s HR department in order to get access to their facility and thereby, the patients who will benefit from these screenings. As a customer of TNT, you can be provided this at no additional charge. We can put together a program that works for YOU in your local market.